For those of you who have purchased the tutorial, thank you so very much!! Your support is greatly appreciated!! 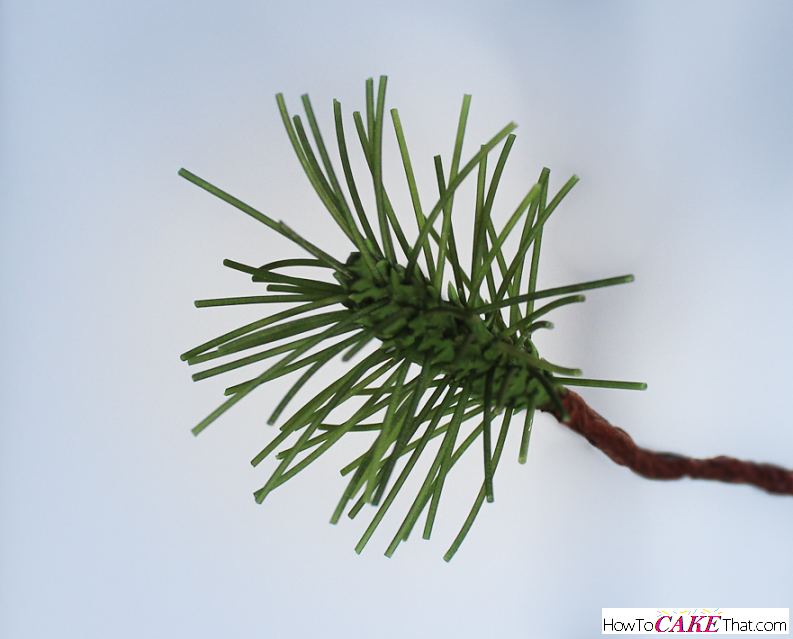 Here I will be sharing a simple overview of how to create edible pine needles the traditional way. Be prepared, these will need several days to dry and harden. If you need them to dry quickly, they can be placed in an oven with just the oven light turned on and let them sit overnight. They will be dry by the next morning! 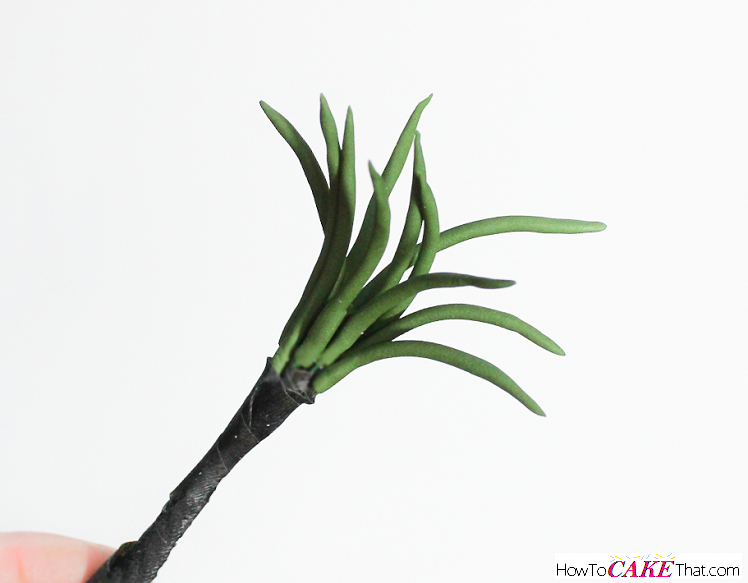 To begin, I colored gum paste pine needle green using Wilton gel color in Moss Green. Then I pressed the gum paste through an extruder fitted with a small round disk. 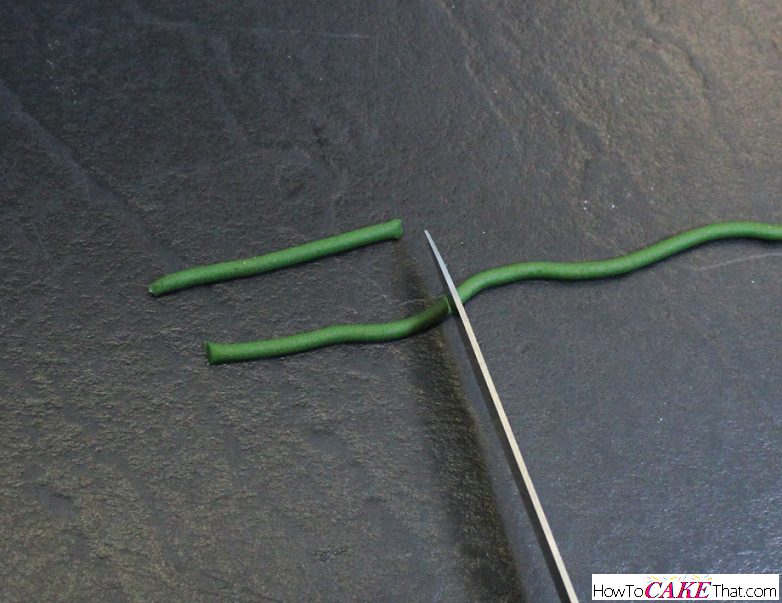 Then I trimmed the gum paste string into good size pieces for pine needles. I shaped one end of each needle into a point. 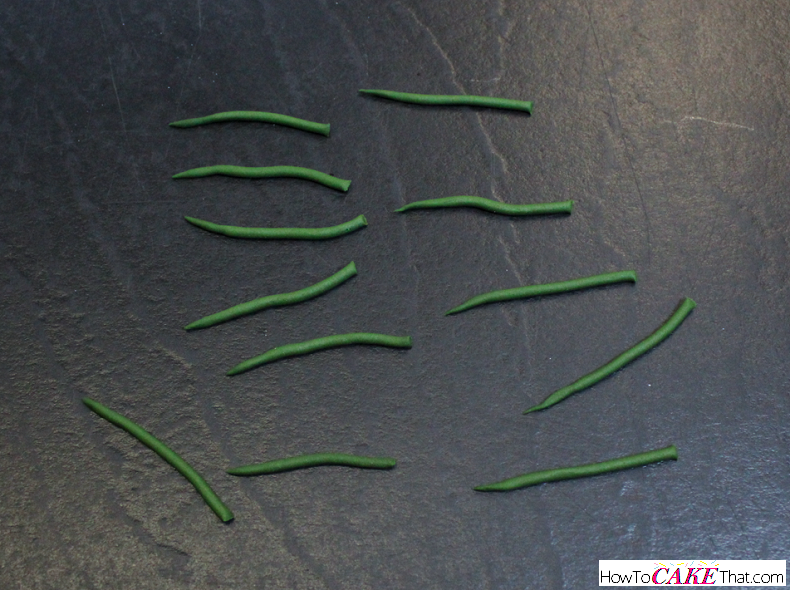 Then I inserted a florist wire into each pine needle and placed them on a cookiesheet lined with wax paper to dry for a few days. 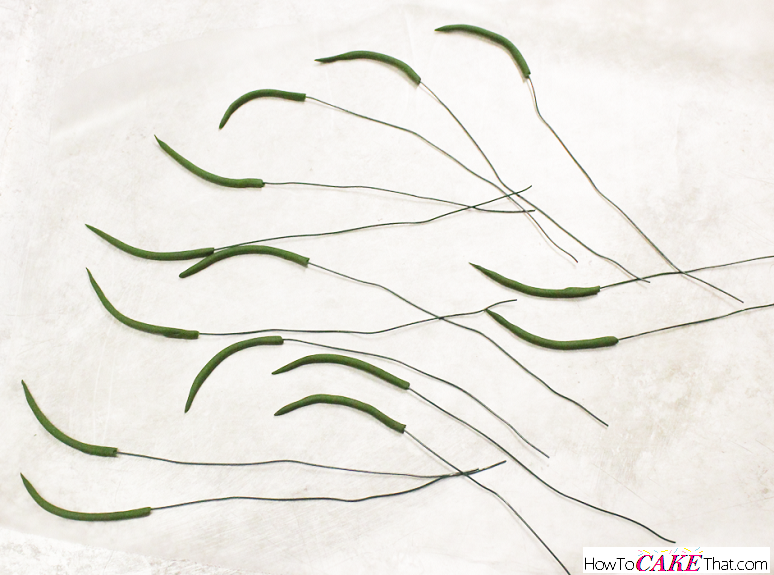 Once they were dry, I gathered them together and wrapped the wires in brown florist tape to hold them together. 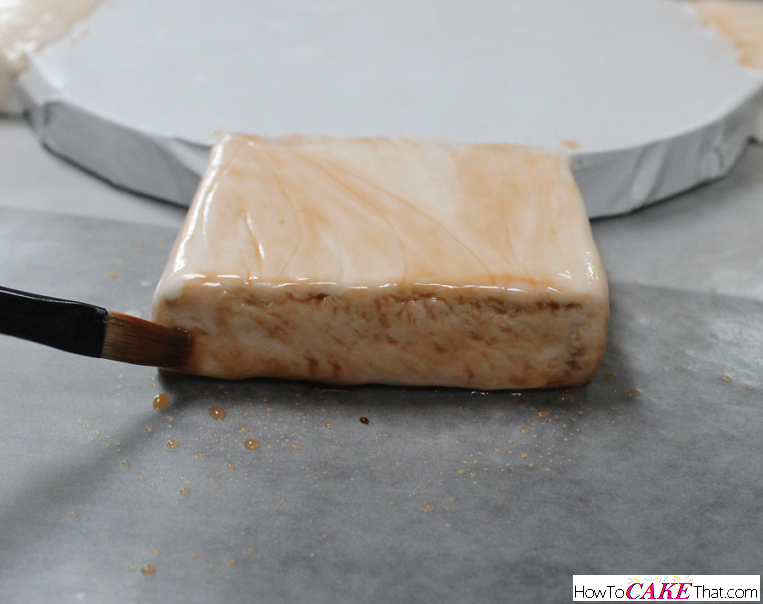 After the fondant cake base has had a chance to dry overnight (or a couple of days), it's time to paint it! I wanted my cake base's feet to have a nice light oak appearance, so I blended Wilton's brown gel color with just a touch of Wilton's buttercup yellow food color. Then I created a very thin watercolor paint by adding a good amount of vodka. 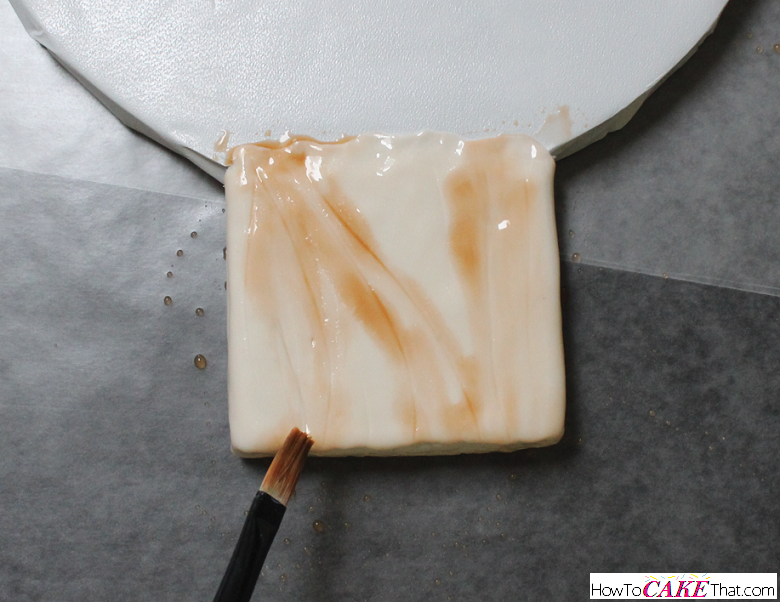 If painting on fondant intimidates you, please don't let it! 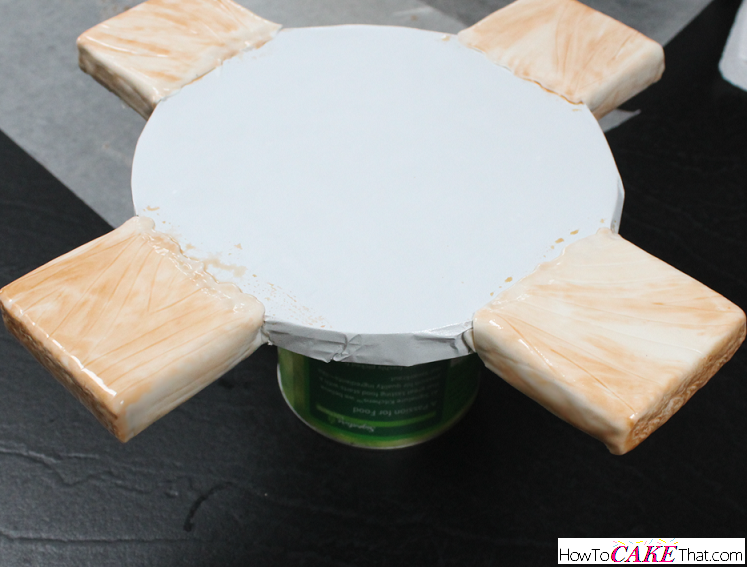 Painting these wooden feet is super simple! And wood is very forgiving! 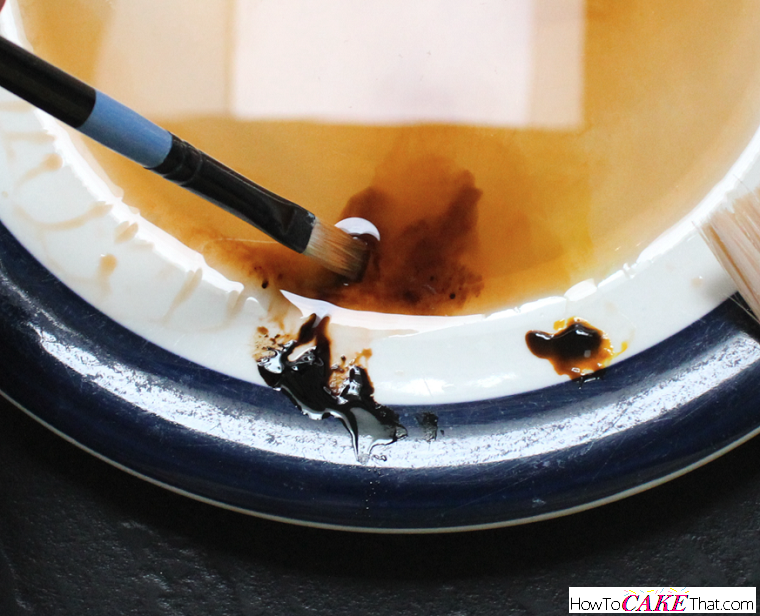 I'll show you an easy method I use to paint them. First, we will work with one foot at a time. 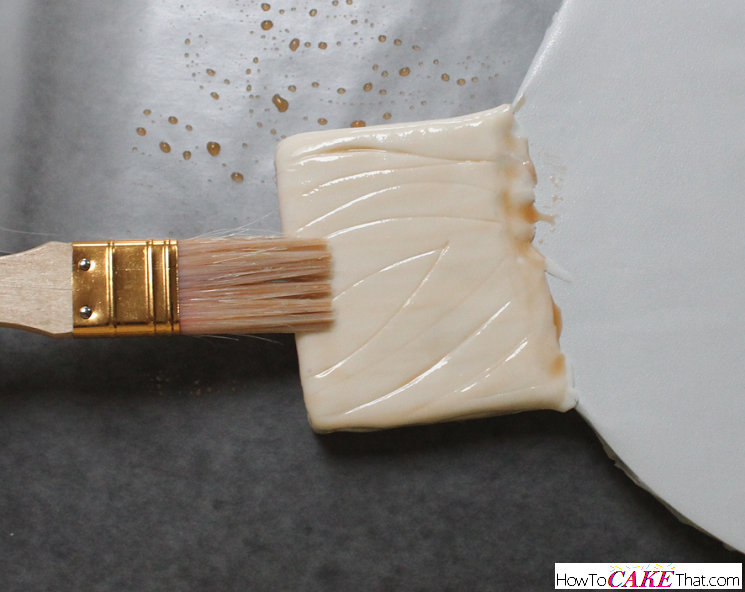 Paint a thin coat of the light brown paint on the cake base foot using a large paint brush. Be sure to get the sides too! Important note: always test your color on a small piece of scrap fondant before painting on your project to ensure you are happy with the color. Now it's time to add a few small details! 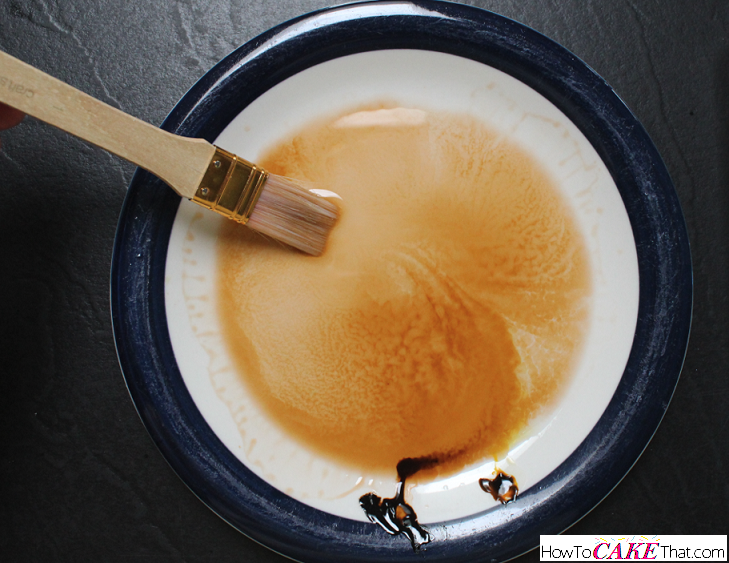 Create a slightly darker paint by adding a little more brown gel color to the thin vodka paint. 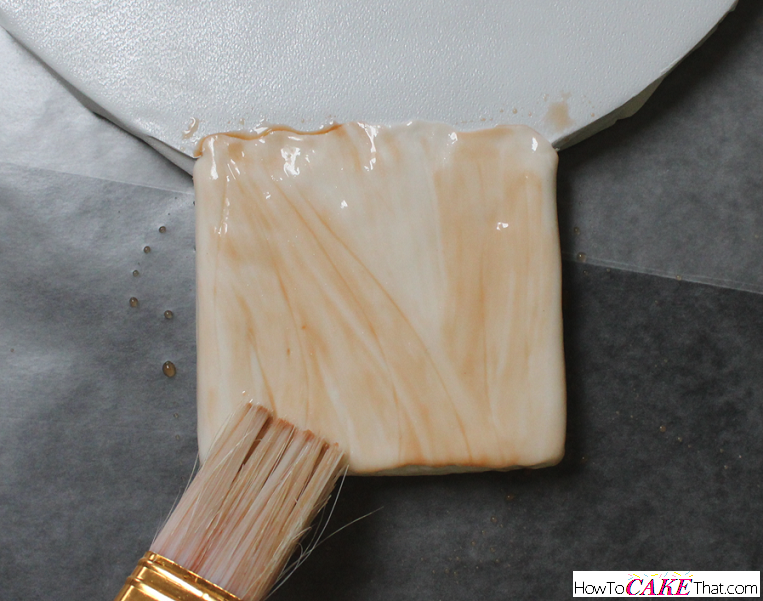 Then, paint a few random darker lines that follow the wood grain you drew earlier in the fondant. Dont forget to add a line or two on the sides of your wooden foot. Using the large brush dampen with the same lighter color paint used on the first base coat, paint over the darker stripes to thin them and spread them out. Use brush strokes that follow the grain pattern of the wood! Only 1 to 3 brush strokes are needed for the dark lines to complete this look! So simple to make, yet so realistic!! Now it's time to add the final touch! Paint a little bit of the darker brown paint onto the end of the wooden foot to help hilight the details. I just dabbed the paint on. No brushing or special techniques used. To ensure the cake base dries nicely, set it on top of a large soup can and set it aside to dry for several hours or overnight. I also wanted to prepare the cake so that it would be ready for the next day. This will be Linus' blanket! Here I have placed an 8" cake on an 8" cardboard cake round. I have filled and frosted the cake. 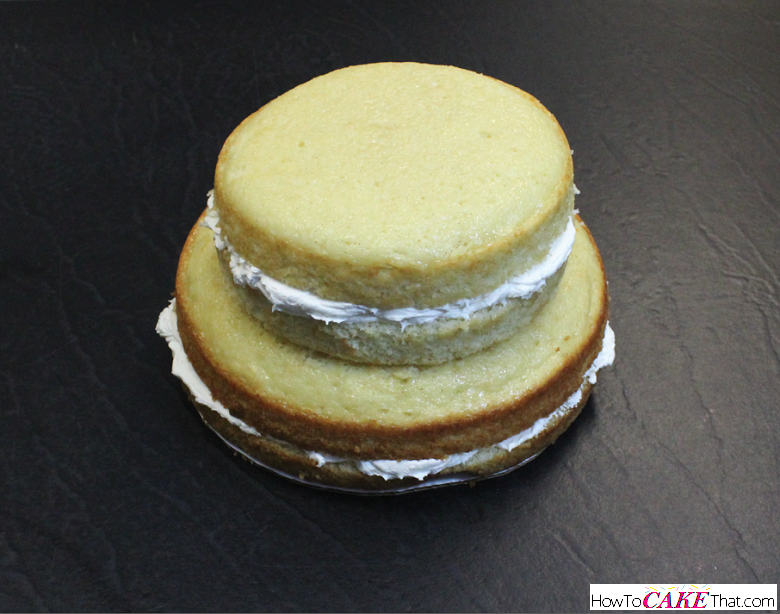 Next, I frosted the top of the 8" cake and placed a 6" cake on top and filled it as well. Note: The total height for this cake measures about 4 3/4 inches tall. 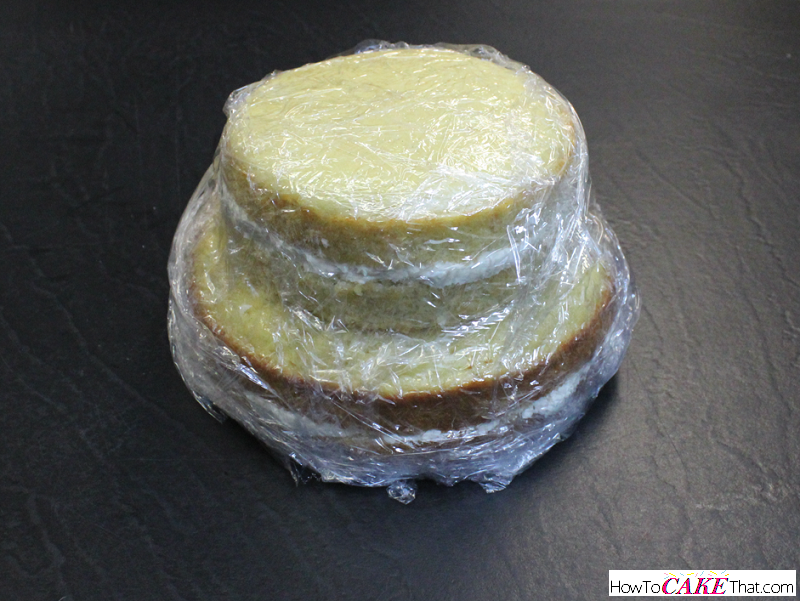 I wrapped the cake in plastic wrap and placed in the freezer overnight. Though this tutorial is free, all material in this tutorial is COPYRIGHT protected and may not be reproduced, edited, shared or distributed in any manner without written permission. 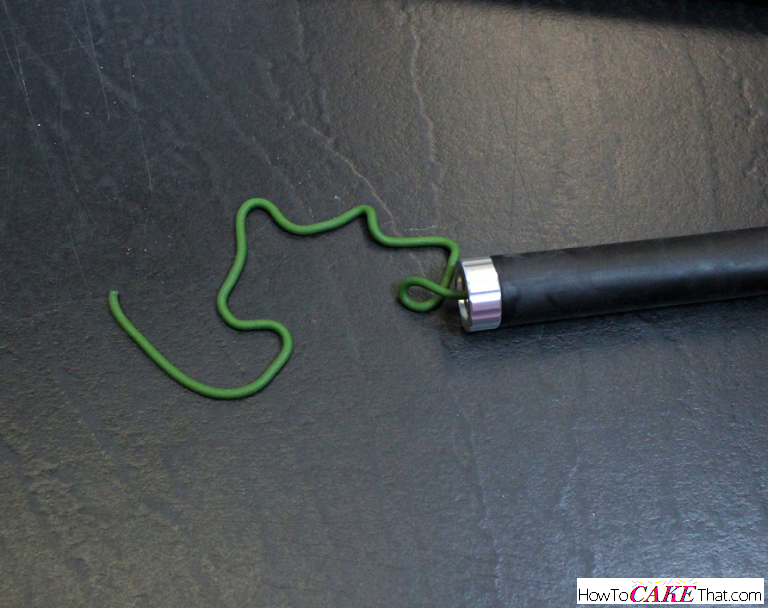 Links to this tutorial may be shared via social media. This tutorial is intended for personal use only and may not be shared or retaught in part or in whole. I put a lot of love, time, and money into offering my readers free tutorials, so please be respectful.